So all the questions I had from the first book (read review here) were thankfully answered in this book! The plot moves much more quickly in this book than in the first and we pick up right where the first one left off. We are right back into the action and the quickening ceremony is quickly approaching. 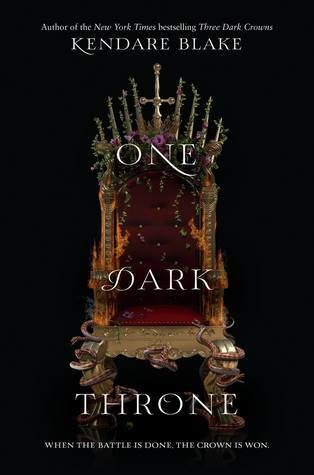 We get to learn even more about the sisters in One Dark Throne which is hard because it makes me love them all even more and I want good things for them all (except maybe Katharine. What’s her deal anyway??) But given the dark nature of this world and this book, I don’t foresee that happening. First try on haul video!